Forgive And Be Happy: Did Santa Bring You What You Want? Let's broaden this question a little bit. What do you want? What do you really want? Are you wishing for a beautiful new pair of boots. Or are you hoping for new Bose speakers? Perhaps you covet an island vacation trip. You may think that what you really want is a new car or a flat stomach or for someone to truly cherish and appreciate you. However, all these things are only representational of what you really truly want...you want real love. You want the real love of God that calls to you from your ancient memories. Every one of us knows down deep what this love feels like, but we've forgotten it. Our egos have blocked out the memory. Our egos have created football and presents and pancakes and twinkly lights. Christmas music and airports and eggnog are all distractions the ego has created to keep us from our true knowing of God's love. The ego wants to keep us away from real love. That's why his distractions can be so attractive and alluring. Of course we want eggnog and a roaring fire. The ego knows these things will keep our minds on the busy-ness of our days and away from real love. We've all seen that the ego has other tricks to play. He has disease, disappointment, hardship and death. These keep us distracted, too. The ego plays dirty and he'll do whatever it takes to keep our minds from truth. Today he plays his happy tricks. That's fine. Enjoy the Christmas pleasures. Have a beautiful day. I fully intend to enjoy my Christmas dinner. 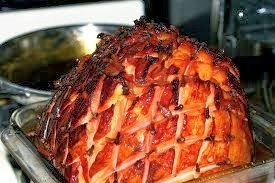 Just keep in mind, along with me, that truth is not all about a fine Christmas ham. It's about the love of God, the love that enfolds you in peace, perfection, safety and happiness. A love that is infinite and never ends. It's always there for us. In order to have it, all we need to do is to see the false world the ego has set up around us. When we do that, we can forgive this false world. The act of forgiveness brings us closer to thinking like God and when we do that we are entitled to accepts his gifts of love.